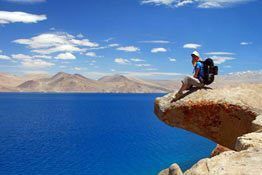 It should be remembered that Ladakh is not accessible throughout the year. The highways leading to Leh Ladakh are open mostly from the months of May to October because they remain submerged in snow the rest of the year. 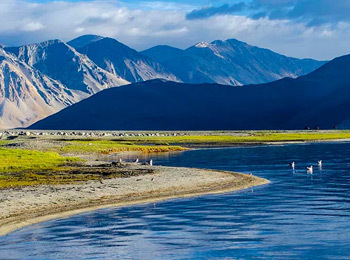 Here, we tell you the best ways of reaching Leh Ladakh. There are various ways of reaching Ladakh but the most comfortable of them all is taking a flight. Several flights fly to Ladakh during the peak season and also during the offseason. However, it should be remembered that changes in flights are not unusual due to the unpredictable weather conditions during winters. The closest airport to Leh is the Kushok Bakula Rimpochee Airport. It operates flights to major cities like Delhi, Jammu, Srinagar and Chandigarh, to name a few. This airport, being a military air terminal, is very strict when it comes to security checks. Therefore, it would be best to take a printout of your e-ticket before entering, not doing so may result in your being denied entry into the airport. From the airport however, you can avail taxis to reach your lodging or resort. 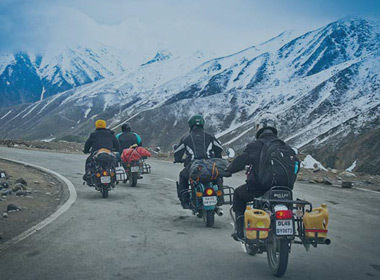 Travelling by bike to Ladakh is something that is eagerly looked forward to by adventure enthusiasts. After all, biking to Ladakh can be so adventurous and thrilling. 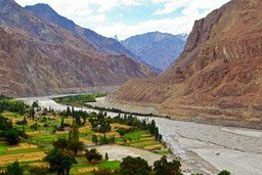 There are two different routes that lead to Ladakh – one from Srinagar and the other from Manali: Srinagar to Leh and Manali to Leh. This is one of the lesser used routes to reach Leh. Travelling from Srinagar will require you to cover a distance of almost 434km. You will find a lot of accommodation options if you are travelling by the Srinagar-Leh highway. This is because several well-known towns lie along this route. Srinagar, being a major tourist destinations, has many hotels catering to every kind of budget. You can easily find a hotel or a houseboat in Srinagar. In Sonmarg and Drass too, you will find hotels within a reasonable price range. 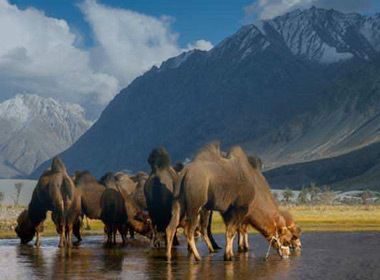 There are plenty of accommodation options from Kargil all the way to Leh. Srinagar-Leh highway remains open for a period of 6 months and traveling on this route of almost 430km is quite thrilling. The best time to travel on this route is late June, early July, the entire month of September and early October. In late June and early July, the roads conditions are excellent, the number of water streams are minimal and the chances of roads getting closed are nil. There is no month better than September for travelling by Srinagar-Leh highway. You will not encounter any landslides, water crossings or other forms of obstructions. The natural beauty too, will be quite spectacular during this time. The weather and road conditions are pretty much the same as September and it’s a great time to travel by this route. There are a few places along the Srinagar-Leh highway where you will come across petrol pumps. However, it should be kept in mind that there is no guarantee regarding these gas stations functioning at the time of your arrival. The best thing to do, therefore, is to fill your tank at the nearest gas station. The places where you will find petrol pumps are Nagbal, Ganderbal, Kargil and Khalsi. 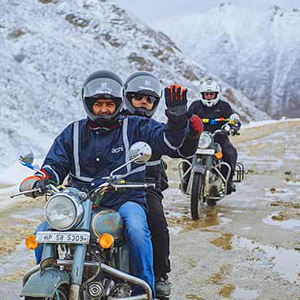 Manali to Leh is the most preferred route by tourists, not only for its convenience but also for the amazing sightseeing opportunities it provides. The total distance covered by this route is almost 490km. Along the way, you are treated to the spectacular beauty of the region. Finding an accommodation along the Manali-Leh highway is also a concern for tourists and travelers. Although there are several hotels along the Manali-Leh highway, you will not come across any other hotel once you cross Jispa or come closer to Leh. The other accommodation option along the Manali-Leh highway is camp sites. They are scattered at regular intervals along the highway. The food, although not too fancy, is quite satisfactory and in keeping with the standards that you would expect to find at such altitudes. It should be remembered that some of these camp sites have attached washrooms while some have common washrooms. The Manali-Leh highway remains open for 5 months in a year but July, August and September is the best time to travel on this route. 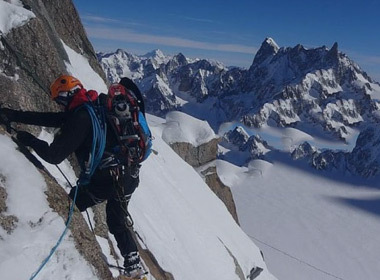 Travelling on this route in July brings its own challenges without making them too risky. The road conditions are good and the camp sites and other places to stay are fully operational during this time. However, there is a tourist rush in Manali which continues till Rohtang Pass during this month. In August, too, the road conditions are perfect and it’s also tourist peak season. A common concern during this time is the rain. Such concerns are unfounded however, because, this region is situated in a rain shadow area. You will face rain only until Rohtang La, and after that it’s all greenery and natural beauty. The month of September is also considered to be the best month for travelling on the Manali-Leh highway. The road conditions are extremely good and even the bad stretches within them are limited to short distances. The tourist season is also over during this time and hence, there is hardly any rush. Accommodation options too are plentiful during this month. One of the common concerns for motorists taking the Manali-Leh highway is the availability of petrol pumps. Since there are not many petrol pumps on the Manali-Leh highway, motorists should carry extra fuel in a jerry-can. This is highly advisable. Other than that, Manali has a lot of petrol pumps and the next petrol pump after that on Manali-Leh highway is at Tandi, which lies at a distance of approximately 110km from Manali. You should refuel here. Tandi is also the last petrol pump before Leh. You can also expect to find fuel at Pang or Sarchu but its quality cannot be guaranteed. Which bike is preferable for a bike trip? For having the best experience and enjoying every moment of your journey, its best to go for Royal Enfields. They perform exceptionally well in the rough rocky terrain of Ladakh. It is better to go for a bike with higher displacements which will put less weight on the motor and allow you to cover great distances. There are other bikes too which you can choose instead of Royal Enfield like Bajaj Pulsar, Hero Impulse, KTM Duke, Royal Enfield Himalayan, Honda CBR 250 and Bajaj Avenger. Next to a bike trip, riding by jeep is also as much fun and adventurous. It is perfect for those travelling in groups of friends and families who want their share of excitement but prefer the road to air. You can take a car trip to Leh from Srinagar, Manali or Chandigarh, depending on the time you have with you. It should be remembered, however, that the highways are closed during the winters due to substantial snowfall. Keeping this in mind, the best time to take a trip to Ladakh by jeep would be from the months of May to September. The highlight of this trip is crossing the Zoji La Pass, located at an altitude of almost 11,500ft. It is this same pass that serves as the gateway to Ladakh if you are travelling to Ladakh from Kashmir Valley through Kargil. This road takes you across several passes like the Tanglang La Pass, the second highest motorable pass in Ladakh at 17,480ft. A bus ride to Ladakh can be quite bumpy. Ladakh is connected to Srinagar and Jammu by roads. 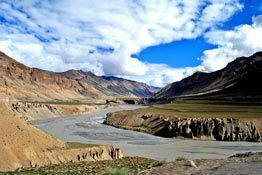 There are two routes that lead to Ladakh, one from Srinagar through Zoji La Pass and the other from Manali to Ladakh through Rohtang Pass. If you are up for it though, then there is a direct bus service from Delhi too. The total distance covered by the bus will be almost 1,203km. Some people also prefer to travel by train to Ladakh. If you are travelling by train, then the closest railway station is Jammu Tawi, located at a distance of almost 700km from Ladakh. It is well-connected to the major cities in India like Delhi, Kolkata and Mumbai. From Jammu, arrangement for travelling to Ladakh by a private vehicle can be made. 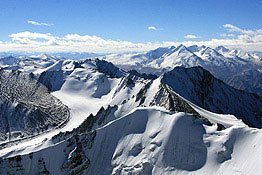 Is it safe to visit Leh? 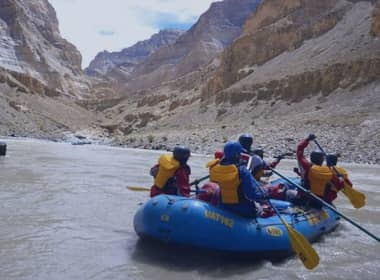 It is perfectly safe for tourists to visit Leh every year and you will not face any kind of problems as far as security and safety of the tourists is concerned. You should always remember to carry medicines, sunscreen lotions, glucose and other food items. Dry fruits are good too. The most important thing, upon arriving at Leh, is to acclimatize with the weather in order to avoid AMS (altitude mountain sickness).